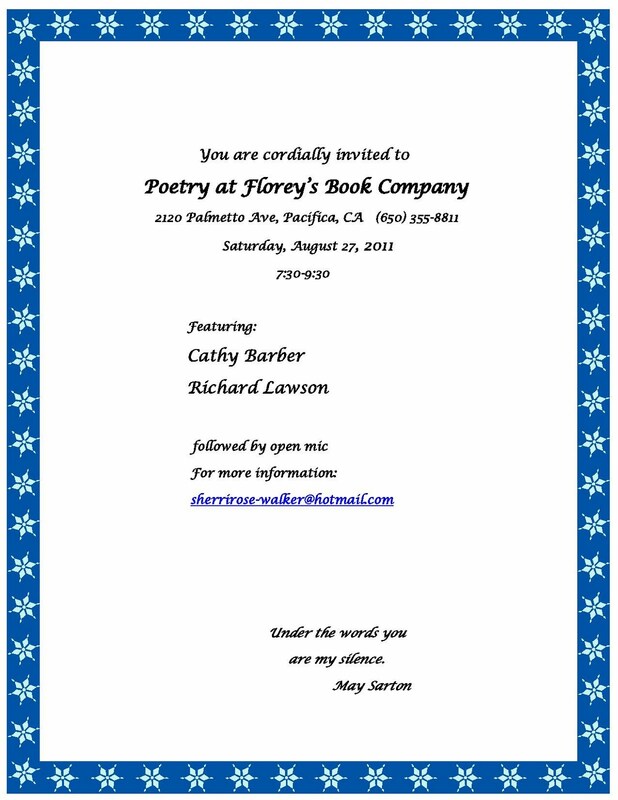 Poetry in August at Florey's! 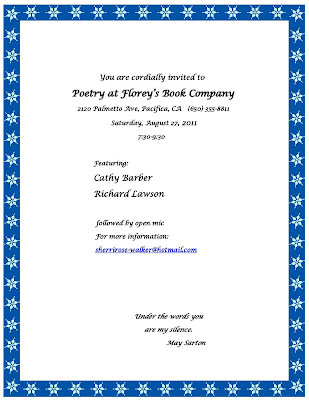 The featured poets this month are: Cathy Barber and Richard Lawson. The featured poets will be followed by an open mic period. Open mic sign-up is first come, first served. This event is also open to the public and free of charge.